Do you know that feeling? That feeling when you know something bad is happening in your tank and you don’t know what to do about it? That panic deep in your gut that says “ACTION! You must do something about this NOW!” We’ve all had that feeling at least once. The fear of losing $1000 or more of fish and coral because you didn’t act on a problem fast enough is a real one. The problem here is that nothing good in this hobby happens fast. This is a saying we have all heard and it’s true. So let’s look at a few problems that people have, the knee jerk reactions hobbyists tend to have and the consequences of those actions. Bubbles! You come home from a long day to find that your return pump is blowing bubbles into your display. Evaporation has caused the water level where you return pump is to fall so much that the pump is getting air with the water! Ugh. Gotta add fresh water right? You dump in a couple gallons of fresh water and get the level back up to where you think it was before. No more bubbles, but this is the 5th time this week it’s happened! Then the question is why don’t my corals look right? Stress caused by fluctuations in your salinity levels will affect your livestock. If you don’t have an Auto Top Off system to keep your salinity levels the same, then you need to be prepared to top-off multiple times a day. The goal is to keep your salinity from falling and jumping every day. Prevention is the best way to keep this mistake at bay. A good quality ATO is a wonderful piece of equipment to have. and see your fish are dead or dying! What NOW!? Well, the Amquel you put in the QT reacts poorly with copper treatments (and many other meds for that matter) and turned your entire hospital tank into a toxic soup. Dang! Should have checked for what to do on Reef2Reef before panicking. Adding a bottled bacteria to your filter media (sponge, matrix, bio balls, ect.) and letting it settle for a few hours before adding it to your filter will help keep this from being a problem from the start. Having enough water to do a 75% water change on your QT ready and waiting is needed because you will undoubtedly have to do at least one large water change in the beginning of treatment. Never add Amquel or similar products to a tank with copper in it. New tank! YAY! You’re so excited and ready to get this thing up and running! You have your tank, skimmer, filter media, powerheads, lights, live sand and live rocks. You’re ready!! You’re getting ready to fill the tank and realize you forgot to get salt! That’s ok… We’ll just fill the tank with conditioned tap water (because who has time to haul 75 gallons of water from the LFS anyway), add our sand and rocks and get this thing wet. We’ll just add the salt tomorrow. Great plan! No big deal. 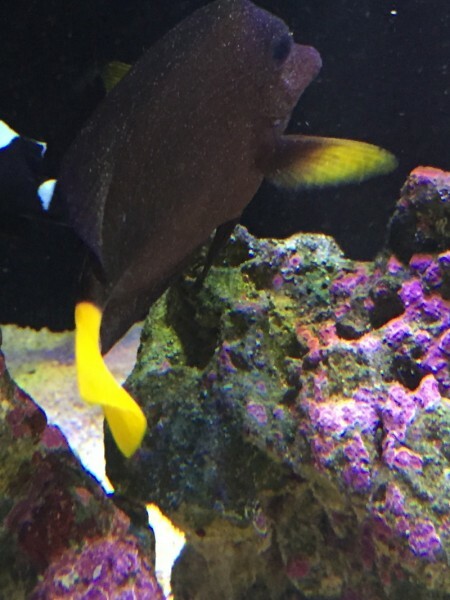 The next day you get your salt dumped in the tank and let it start mixing with the powerheads and filtration. This is such a good plan, why don’t people do it this way all the time? Well, a few days goes by and your tank still isn’t cycled! The ammonia and nitrites are off the charts! You’ve tested your phosphates and those are through the roof too! Oh my… what happened? That live rock and live sand you spent so much money on should have had the cycle done in short order. Well, what really happened is: when you put the fresh water in your tank with all the live rock and sand, it killed every bit of beneficial bacteria on them and rendered them effectively DEAD. All that die off has made your ammonia and nitrites skyrocket! 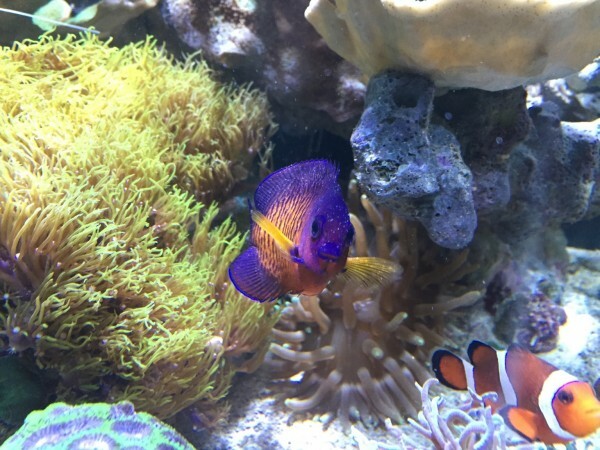 Then the tap water you used to start the tank off not only is the root of your phosphate issues (along with the aforementioned die-off), but it has also introduced heavy metals and other pollutants into your tank that will not be very good for your future reef. A 100% water change using RO/DI water and a bottle of bacteria is in order here, and you may need to do another, smaller water change soon after the first. The rocks and sand may leach some of these pollutants back out into the water so be watchful for that. What’s the lesson here? Are we not supposed to act quickly to save our investment? Should we not try to fix an issue as fast as possible? That’s a loaded question, because of course we want to save our investment and our animals! What we don’t want to do is rush into a situation without knowing what we are doing. We also don’t want to try to fix a problem without knowing the consequences of our actions. Take the time to stop, find somebody who knows the answer (hmmm R2R maybe?) and find out what your options are before you act. Taking that time may save you in the long run. Your fish probably isn’t going to die in the next 5 minutes, and if he does then he was past saving. Research! Ask questions then ask some more. Don’t be afraid to put the questions out there and learn. You never know, something like this (or worse) might happen to you. You’ll be glad you asked the question and learned what to do when it does.